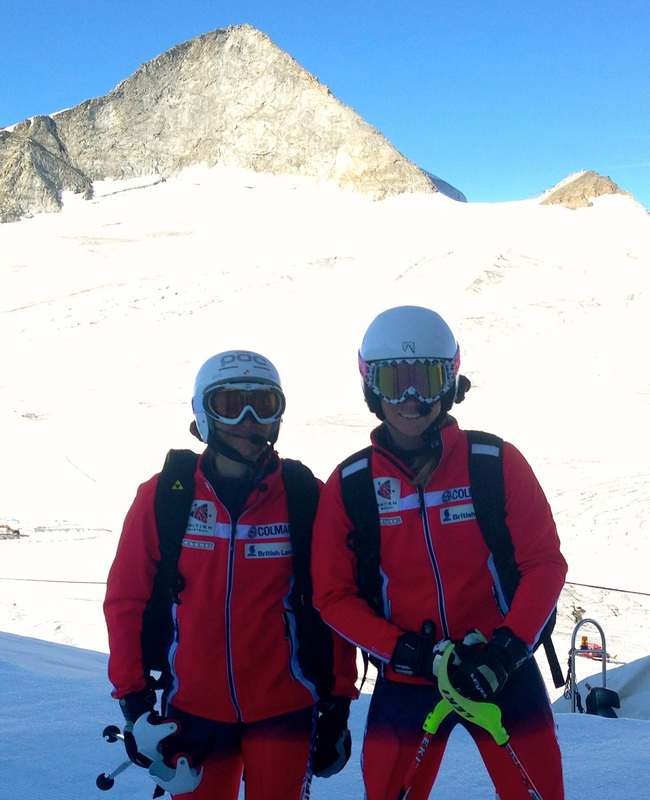 Royal Engineer Captain Jennifer Kehoe has been guiding Millie Knight, a 15-year old Visually Impaired (VI) athlete skiing for the British Disabled Ski Team, for two years. 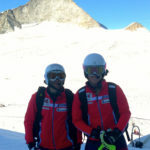 The pair joined forces in February 2013, after Capt Kehoe was approached by a coach at the Inter-Services Snowsport Championships held in Meribel. 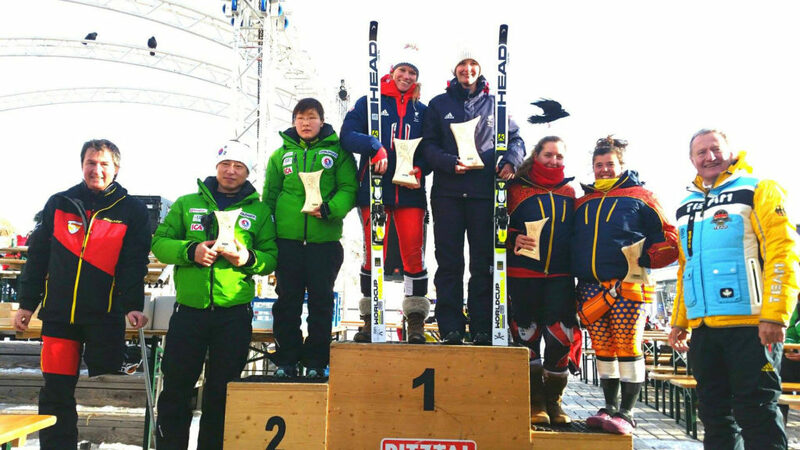 Their first competition as a team was the Austrian National Championships in March 2013, where they won Bronze in both the Slalom and Giant Slalom races. They qualified for the Paralympics in Sochi in March, but due to a serious knee injury in December 13, Capt Kehoe was unable to compete with Millie. Fortunately, she has made a rapid recovery and they are back racing together this winter. Their target this year is to compete in the World Championships in Panorama, Canada in March 2015. In her own words Captain Kehoe reports on her experiences as a Visually Impaired Ski Guide: “Have you ever been skiing in low cloud, with a blizzard swirling around you? Trying to see where you are going is tricky at best; at worst so disorientating that you can’t tell whether you are still moving. 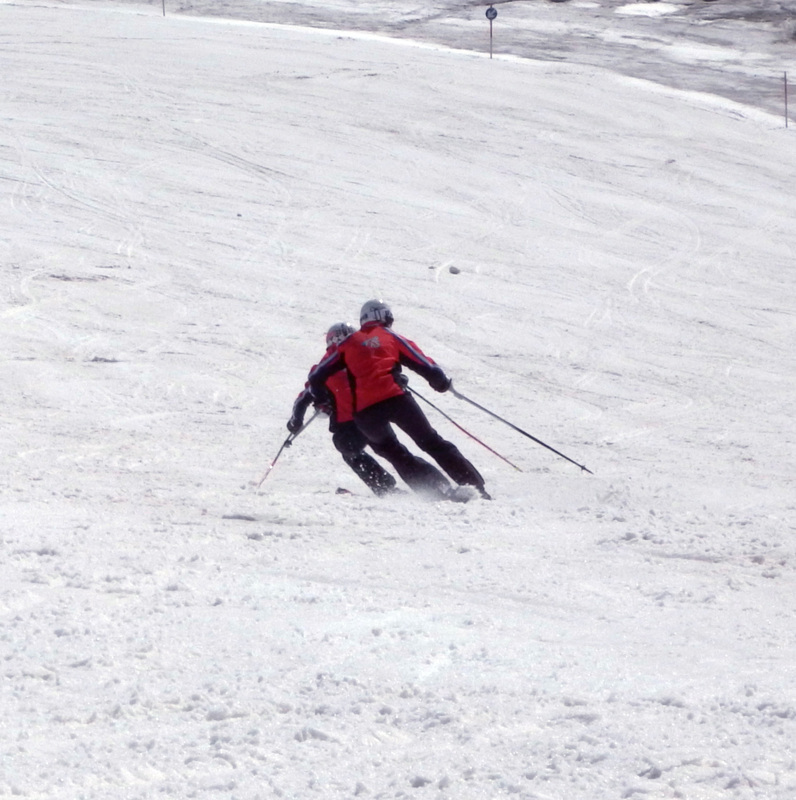 If the answer is ‘yes’, you will have some idea of what it is like to race as a visually impaired (VI) skier. Millie is classified as a B2 athlete meaning she has less than 5% vision in both eyes, caused by an infection as a child. She skis approximately 5-8 metres behind me, following my line and listening to my instructions. We communicate via Bluetooth headsets fixed to our helmets and I wear an orange hi-visibility vest to help her see me – we are not attached together! The most important part of our training is building up the trust between us. Communication is critical too and we are gradually building up our ‘VI/Guide Dictionary’. The top VI teams use over 200 unique commands or sounds to describe changes in the terrain, snow conditions, rhythm or combination of gates as they attempt to get to the finish in the fastest time. 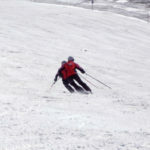 We ski at speeds of up to 100kph, which is not far off the speeds I used reach when competing in my own right! Being a guide is a huge responsibility as it is your decisions that determine whether your partner gets down the hill in one piece or not. One of the reasons I am so passionate about guiding Millie is the teamwork required; neither one of us could do what we do without the other. Two Gold medals in Slalom and GS for Millie Knight and Jennifer Kehoe. Two Gold medals in GS for Millie Knight & Jennifer Kehoe what a fantastic start to the season.